Photograph copyrighted by General Dynamics Armament and Technical Products (GDATP). 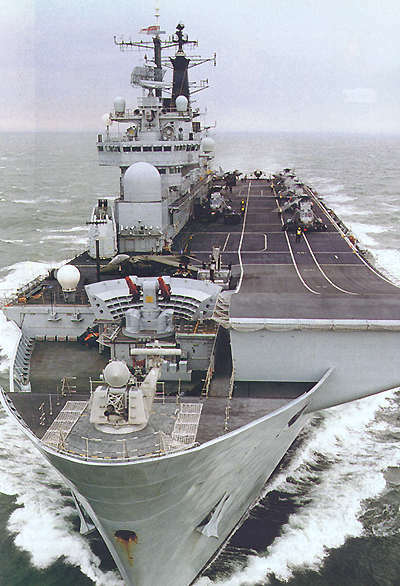 A joint project by Signaal and General Electric, Goalkeeper is a close-in weapon for use against missiles and aircraft. The system automatically performs the entire process from surveillance and detection to destruction, including selection of the next priority target. Goalkeeper uses a dual radar system, an I-band track-while-scan search-and-acquisition set which hands off to a dual frequency L/K-band target-tracking radar for the actual gun engagement. This system can track up to thirty targets, engaging the four most urgent. 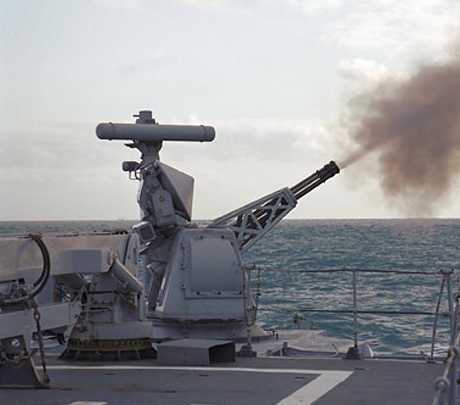 It will minimize the salvo length to engage as many targets as possible and is thought to be able to deal with two pairs of sea-skimming missiles as little as five seconds apart. 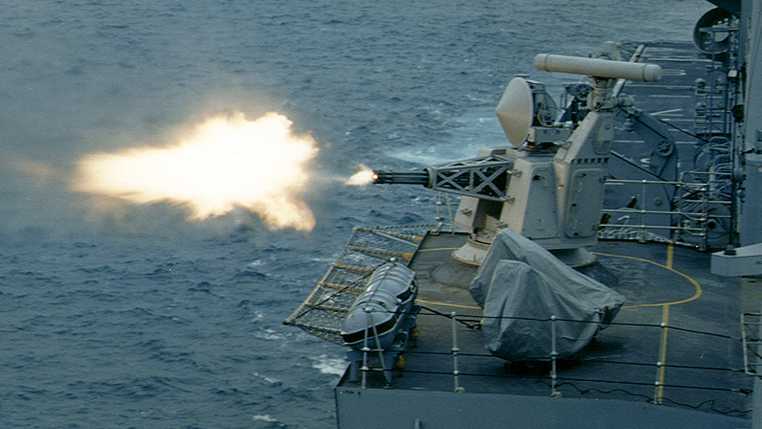 The General Electric (General Dynamics Armaments) 30 mm (1.2") GAU-8/A seven-barrel Gatling gun used by Signaal is also used for French close-in weapon systems, including SAMOS and Satan. It is perhaps most famously used on the US Air Force A-10 Thunderbolt anti-tank aircraft. This weapon fires for about 0.2 seconds per engagement. ^The APDS sub-caliber penetrator is made from depleted uranium (DP) and has a diameter of about 0.6 in (1.5 cm). The penetrator has an thin light-alloy ballistic cap, which allows the penetrator itself to have a short conical shape. The APDS is said to be cabable of defeating twice the armor thickness as the API at a distance of 1,590 yards (1,500 m). ^The MPDS sub-caliber penetrator is made from high-density tungsten alloy and has a diameter of about 0.6 in (1.5 cm). ^Drive bands are plastic, which prolongs the barrel life. ^Ammunition is link-less and supplied in drums. 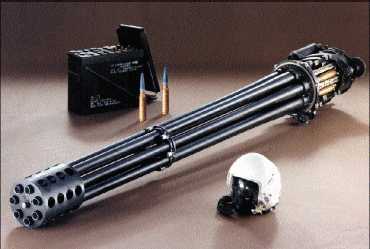 GAU-8/A Gatling Gun. Photograph copyrighted by General Dynamics Armament and Technical Products (GDATP).